These folks make nice bread with local and organic ingredients . The bakery is on the dry side of the island in the artsy town of Hanapepe. Pick up a loaf or two and a slice of pizza at the cafe or while exploring Hanapepe Art Night (every Friday). 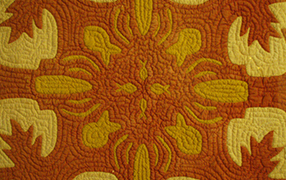 The breads are also available for purchase at many Art Events and Farmer’s Markets around the island too. Our favorite so far is the cinnamon bread. 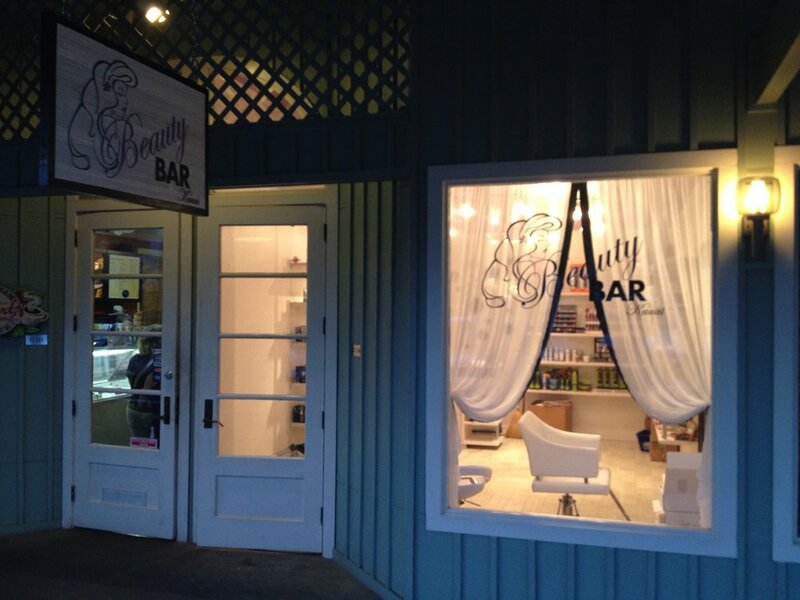 The Beauty Bar has a very nice selection of cosmetics and skin care products. They also provide hair and beauty services for special events or night out. Stop by to select a nice piece of shimmering tattoo jewelry to match your island wardrobe and never worry about losing anything in the sand! It may be a little hard to find, but is well worth the stop. Orchid Alley is nestled between a couple of stores not too far north past the ABC store mauka “mountain side” of the street. They have a tremendous selection of orchids and many other nice surprises too. If you love orchids and flowers, it is well worth stopping by – and if you find something you like, they can ship it back to you. 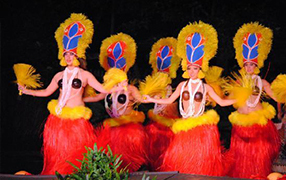 They also participate in the Kauai Orchid Show – Hanapepe every April too! 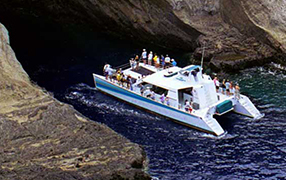 Kauai has beautiful world class golf courses, many are right at the oceans edge. Don’t let the view swoon you, these courses can be extremely tough. 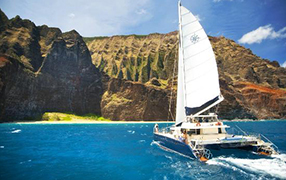 Go to the Makai Course in Princeville for a relaxing game. 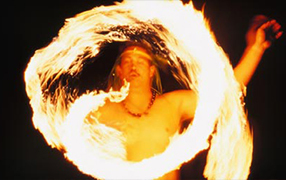 Prepare to be challenged at the Prince in Princeville. 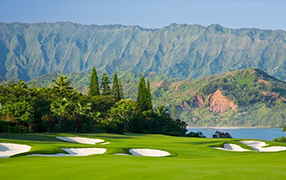 Play local at the Wailua Municipal Course in Kapaa or Puakea in Lihue. Or, keep going down island to the Poipu Bay Golf Course. Bring you clubs on the plane or ship them ahead of time to the Princeville Mail Service Center (808.826.7331) 2 miles from Pu’u Poa 306 for pickup. Try out a new set of clubs by renting at the course or have a set delivered to your door. Below are a variety of links with information on courses, club rentals, etc. 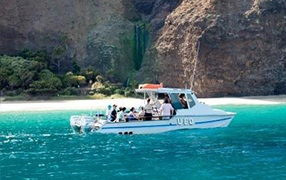 Mitch has been surfing Kauai waves all his life and transformed his passion into a surf school. You will find him and his team out at Hanalei Pier early every morning getting ready to teach another group of surferr wannabes how to hop on a board and ride the waves. If paddling is on the wish list, they teach this too. 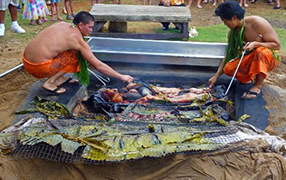 Princeville is the “everyday” shopping venue on the North Shore. It is the place to pick up groceries, gas up the car or fill the propane tank, find needed hardware items, get the mail, stop by the bank, eat or have some ice cream, pick up art supplies, take a Bikram yoga or pilates class, pick up some flowers or a bottle of wine, see a real estate agent or shop for clothing, jewelry, gifts and shoes. For more information click button below. 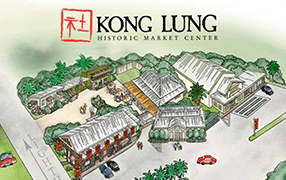 Stop by the Kong Lung Historic Market Center to find charming ceramics, home goods, jewelry, soap and clothing shops. 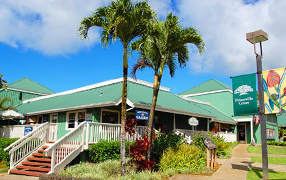 Kilauea Bakery & Pau Hana Pizza is a great place to stop in for a delicious latte, healthy lunch or pizza dinner. This great little shopping village is a particularly good diversion when there is a bit of rain. 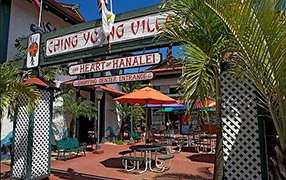 The stores are close together and you can sit under an umbrella or the front porch at the Kilauea Bakery and perhaps surf the net with a warm cup o’ jo and some crusty bread. beach gear, surf boards, etc. Click link below for more information on shops, restaurants and directions.